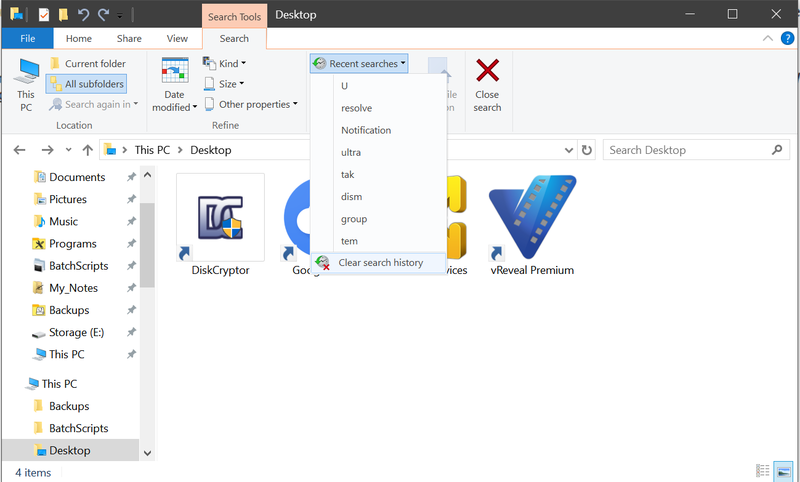 Windows File Explorer recent search history can be cleared by clicking the Search tab in File Explorer and going to Recent Searches > Clear search History. 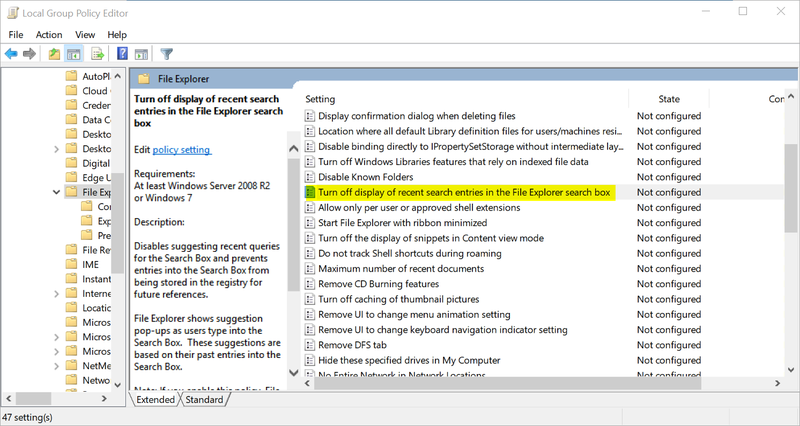 If you want to completely disable the File Explorer search history from keeping track of your searches. 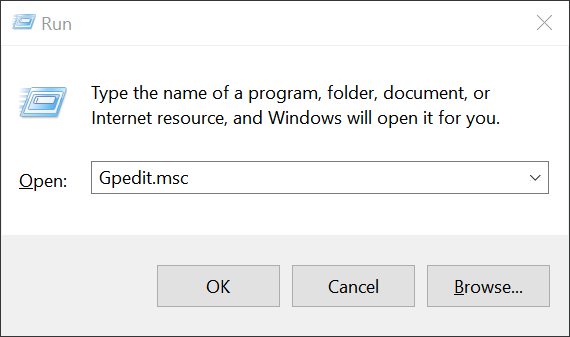 In Windows 10 Pro, you can turn off search history in Group Policy Editor, but for Windows 10 Home which does not include Group Policy Editor, you need to tweak the Registry. For users of the Windows 10 Professional, you can turn it off via Group Policy Editor. 1. Press keys to open Run dialog box. 2. Type Gpedit.msc into Run box and click OK button. 4. 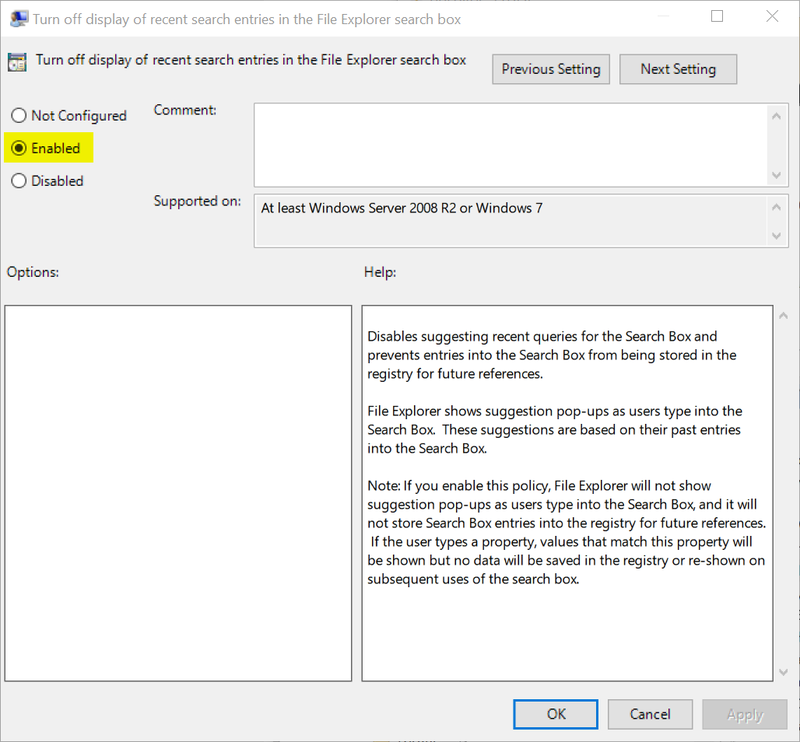 Double-click on “Turn off display of recent search entries in the File Explorer search box” policy in the right pane and set it to Enabled, click Apply and OK buttons, and close the Group Policy Editor. 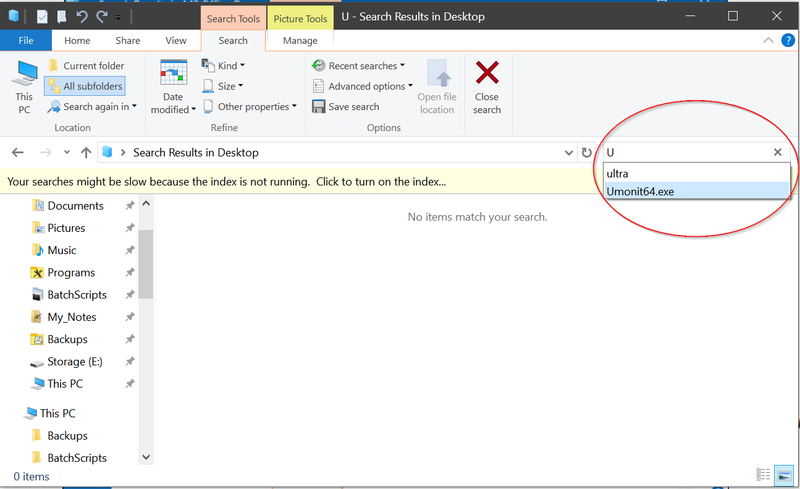 For users of the Windows 10 Home, we need to add registry value to disable File Explorer search history. This can be done either using the Registry Editor, or using the Reg command. Let's do it easy way that is using the Reg command. 1. Please open the Command Prompt by typing cmd.exe into Start Menu, right-click on cmd.exe, and open it as an administrator. 2. Type below command and press Enter key. If you want to enable it later, you can execute below Reg command. After you’re done, close the Command Prompt and you will need to log off or restart your system before you will see the change.